Safety is a core value for CiDRA that is embodied in our mission statement: “Safety Can Be Managed To Excellence”. From our field service professionals in Alberta to our engineering, manufacturing and administrative professionals in Connecticut, safety is our first priority at work and home. 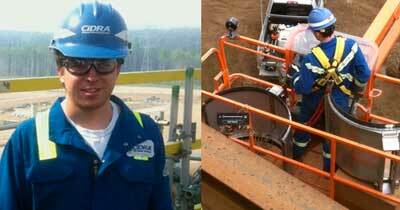 CiDRA Oilsands Ltd. has been a service and technology provider to the mineable oilsands industry for over eight years, providing industry-specific solutions aimed at increasing safety, reliability, recovery and efficiencies. CiDRA has built an award-winning local team of service professionals in Ft. McMurray with a local warehouse to provide service and support when needed - 24x7x365 days a year. CiDRA services and technologies have enabled our customers to transition from an environment of “swimming in data” to transforming data to information to making decisions with a high degree of certainty.